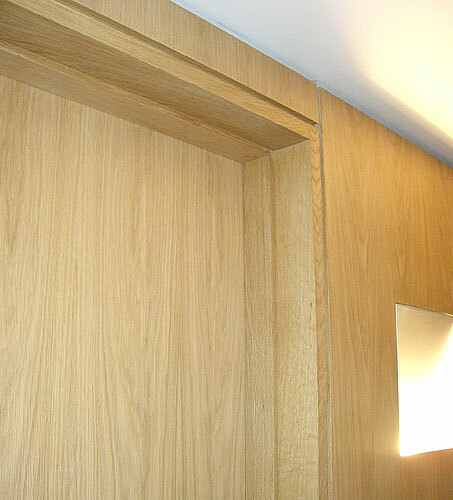 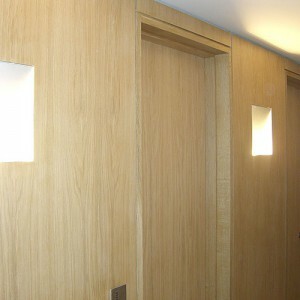 Using veneered and solid oak, we hand crafted and fitted oak panelling and doors throughout this luxury London property. 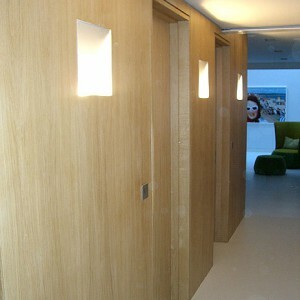 The contemporary style incorporated modern mood lighting. 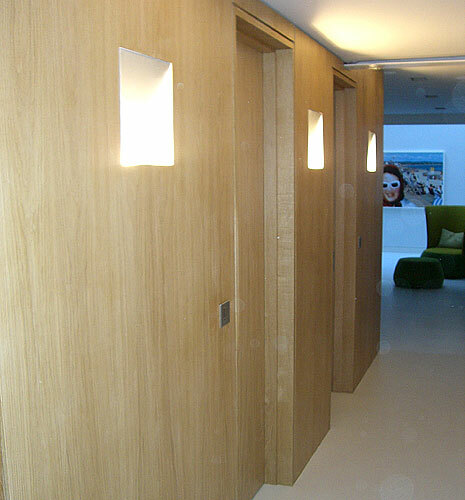 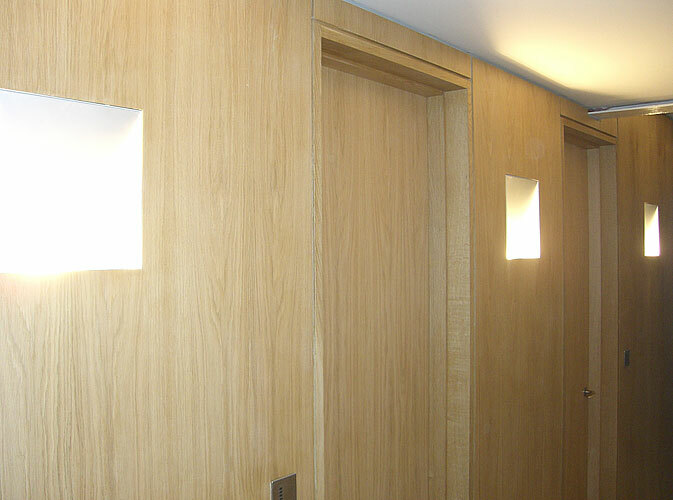 A flush face was achieved by shadow gaps, eliminating the requirement for traditional architraves and creating a feature of the panelling where it met the door lining. 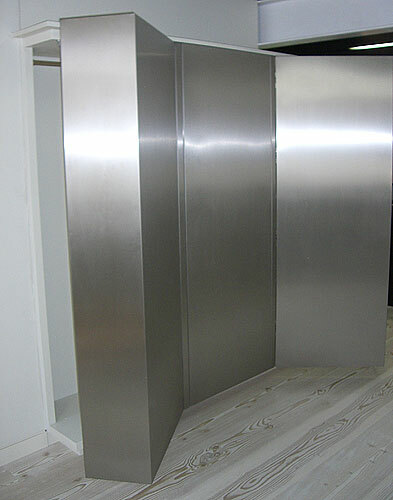 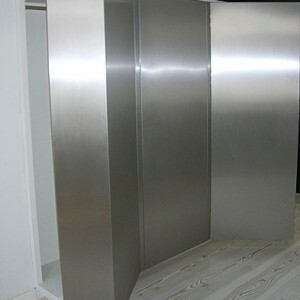 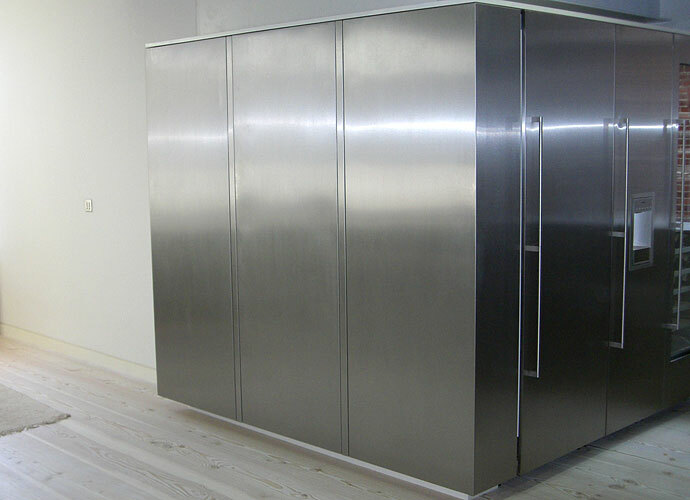 We also crafted bespoke stainless steel doors to cover the heating and plumbing work in the kitchen area. 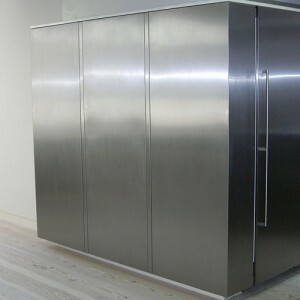 The chunky doors, hang from hidden ‘Soss’ hinges and sit beside the refrigeration unit creating a large stainless steel block architectural feature to the side of the kitchen. 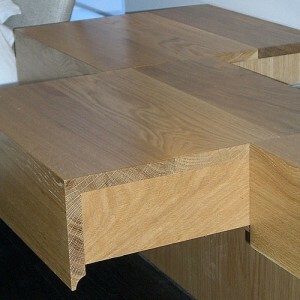 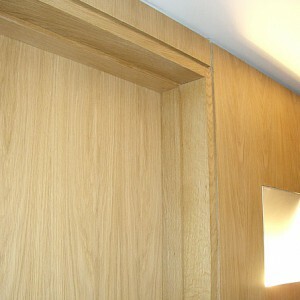 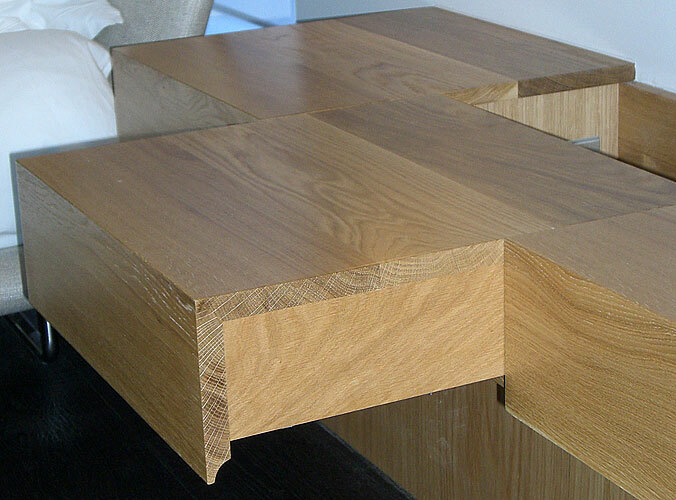 To have your dream specialist joinery contact us now.